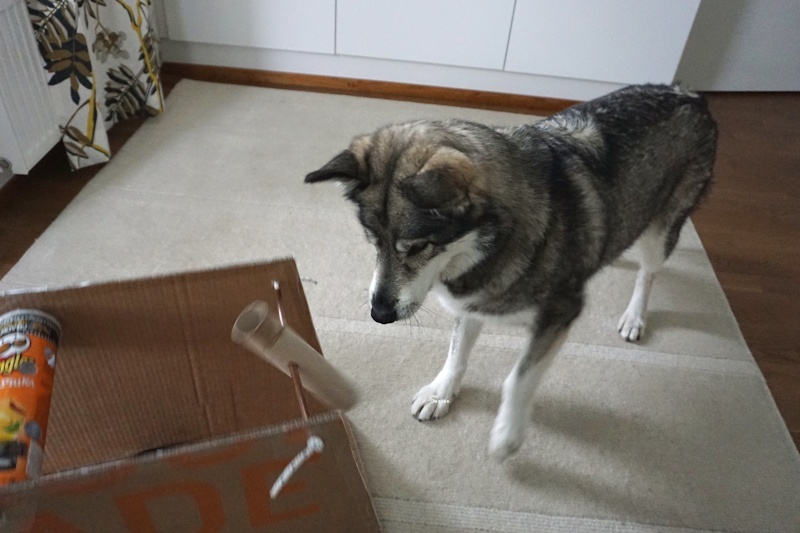 These games are similar as the High roller game but here are some alternatives. 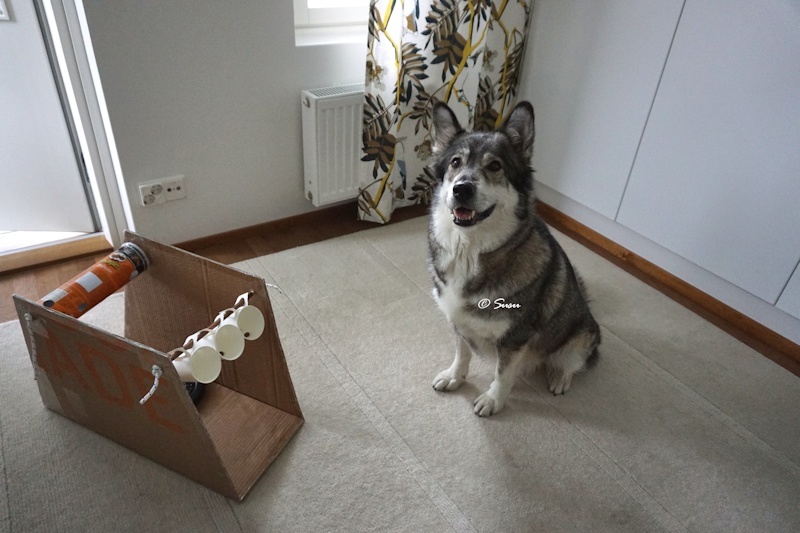 I attached these games on the same cardboard holder as the High roller game is attached and you can see some instructions in here. 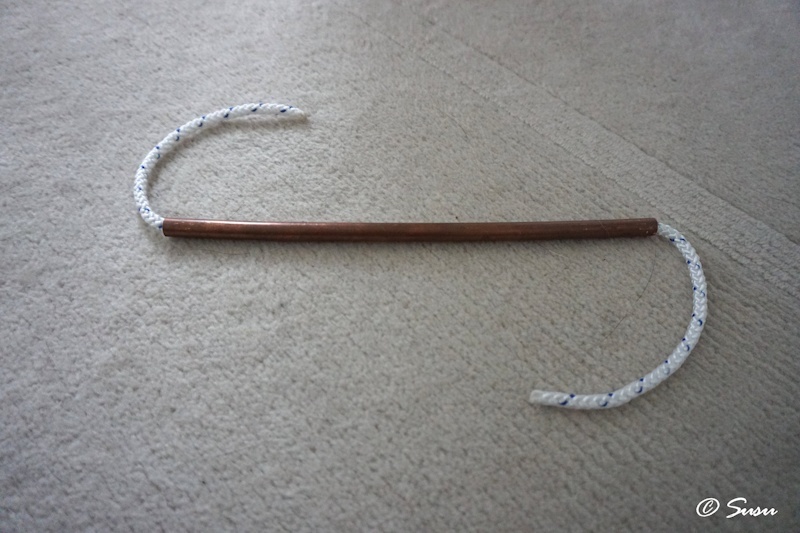 I took about 20 cm long piece of a hollow pipe and pushed a rope through it and tied it to the holder. 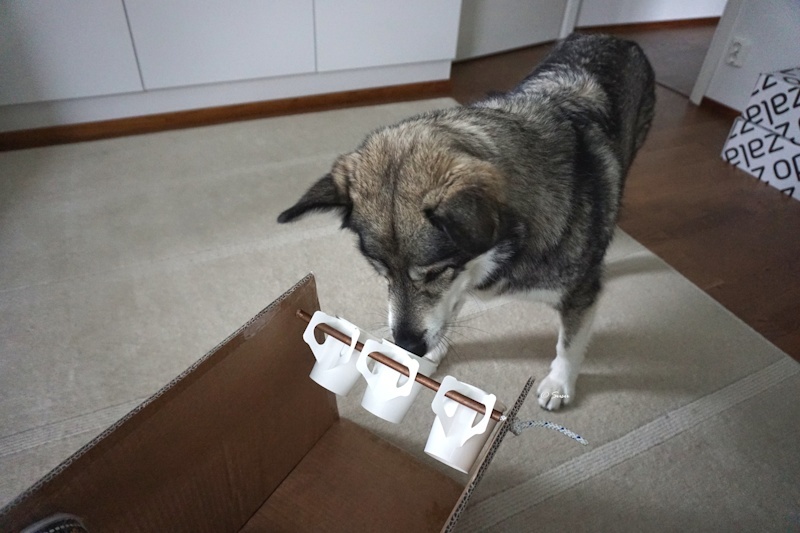 We started with these three paper cups which I hanged on the pipe. 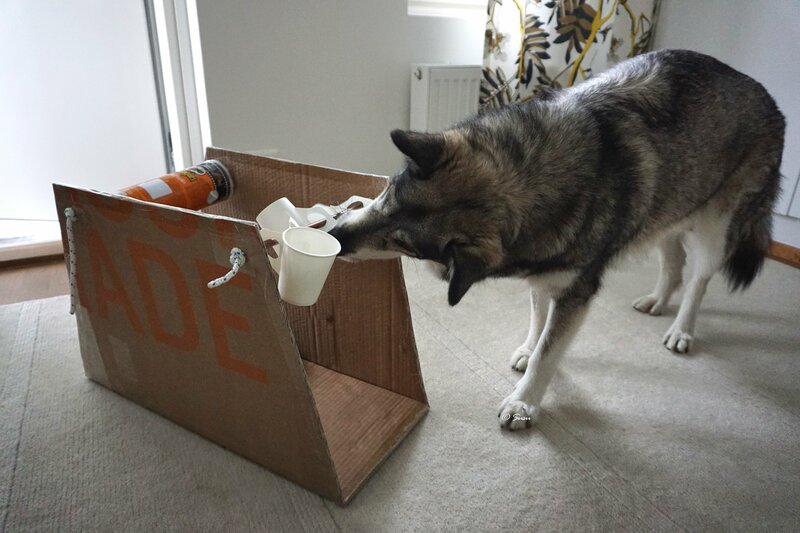 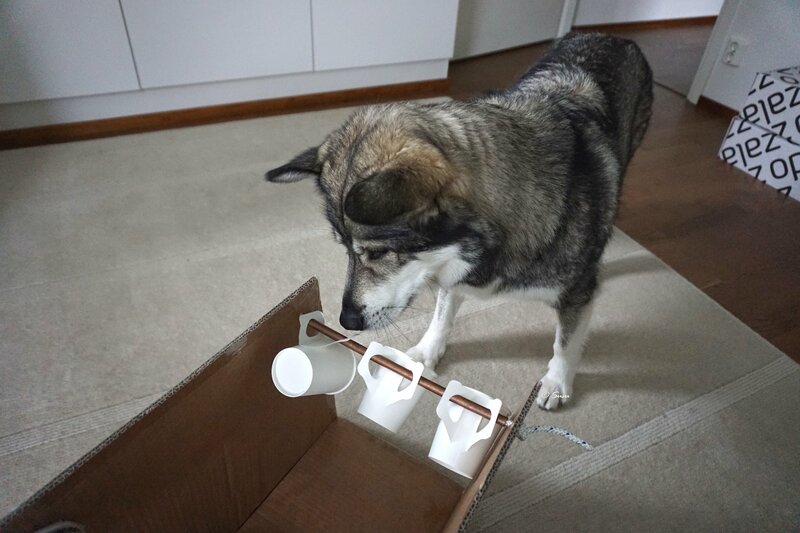 I put one kibble in each cup but you can use any treats your dog likes. I punctured two holes on the middle of empty paper roll. 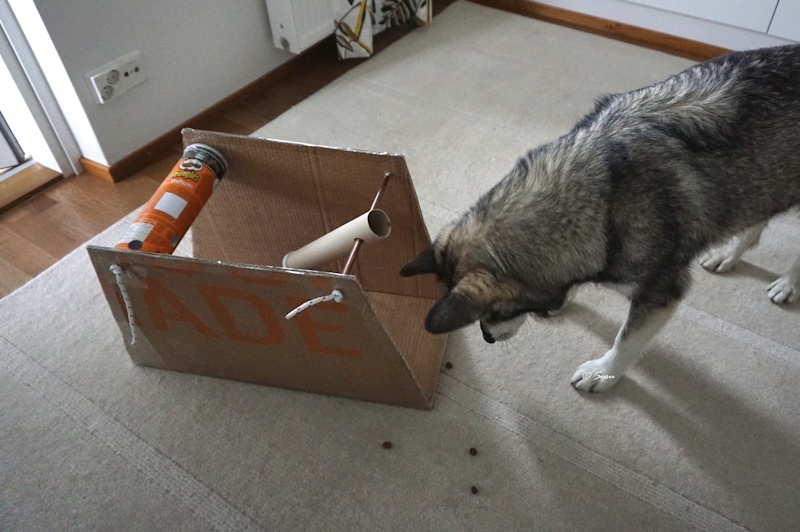 The other end of the roll needed to be sealed so I taped a piece of tape onto the roll that was folded on itself so the kibble wouldn’t stick to it inside the roll. 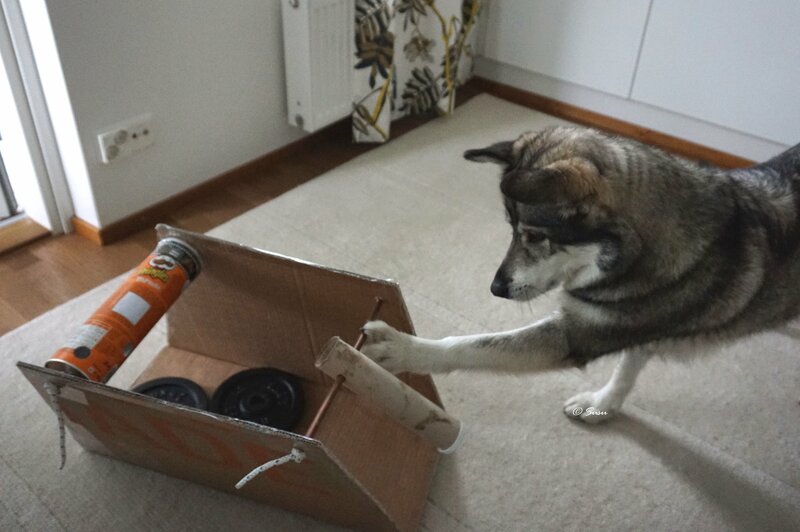 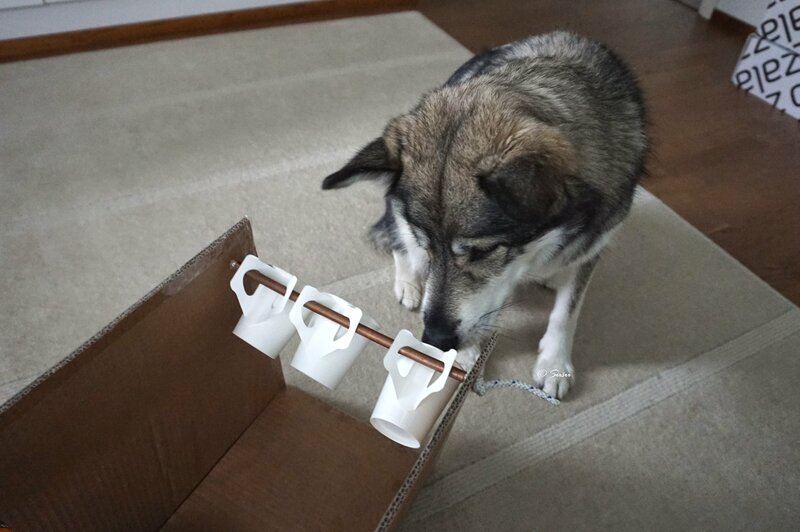 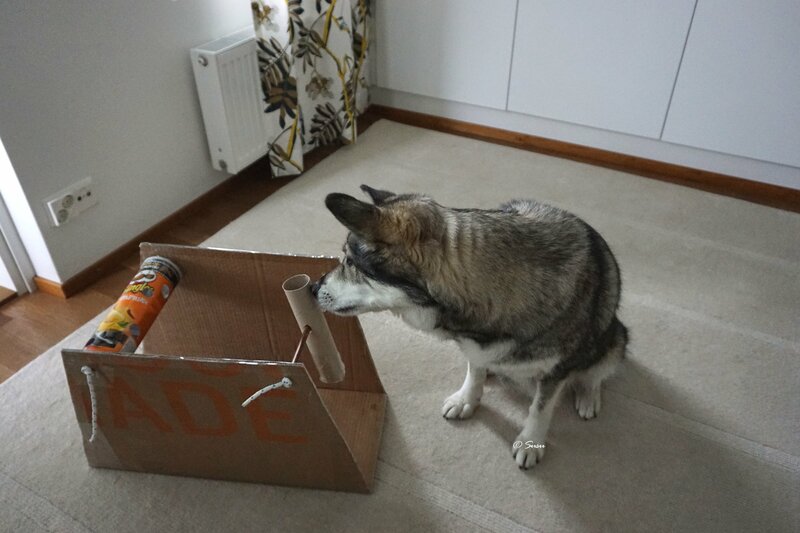 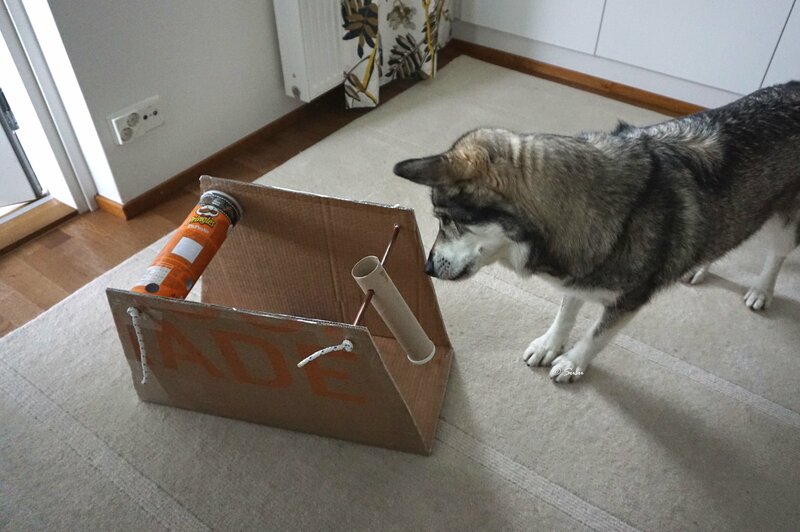 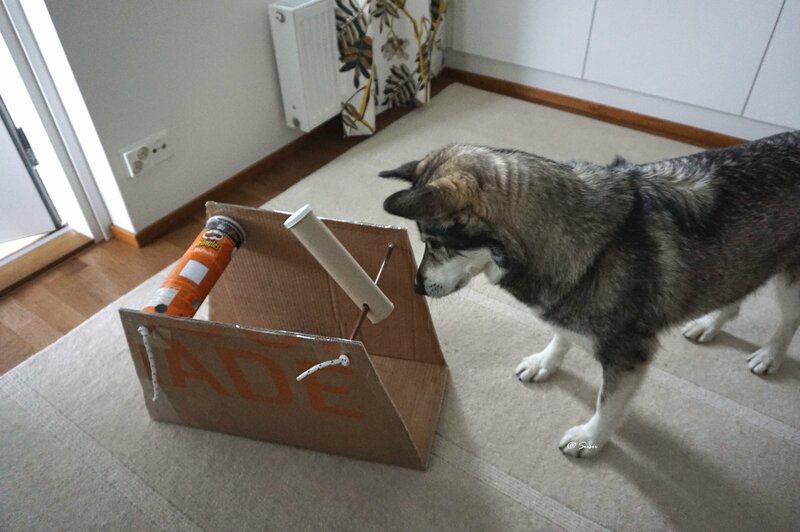 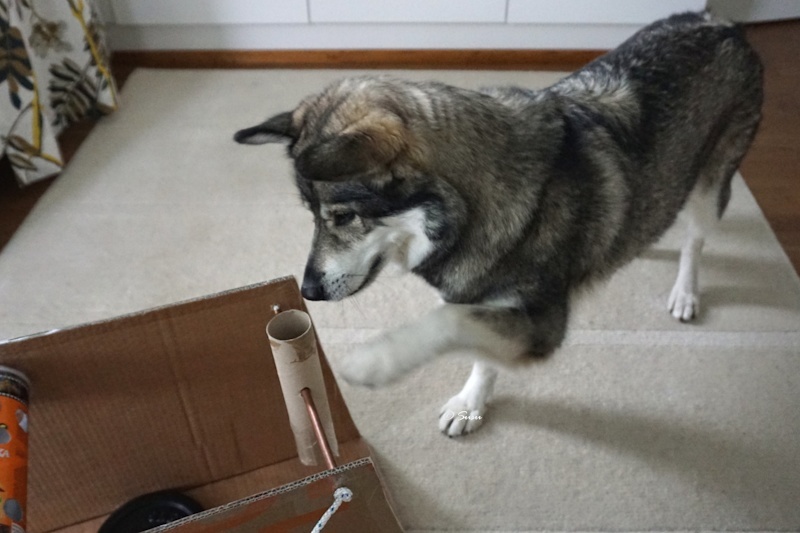 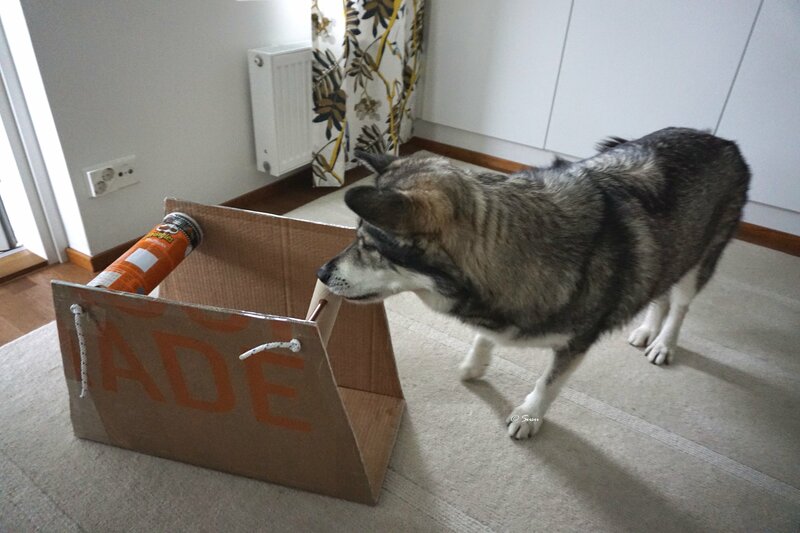 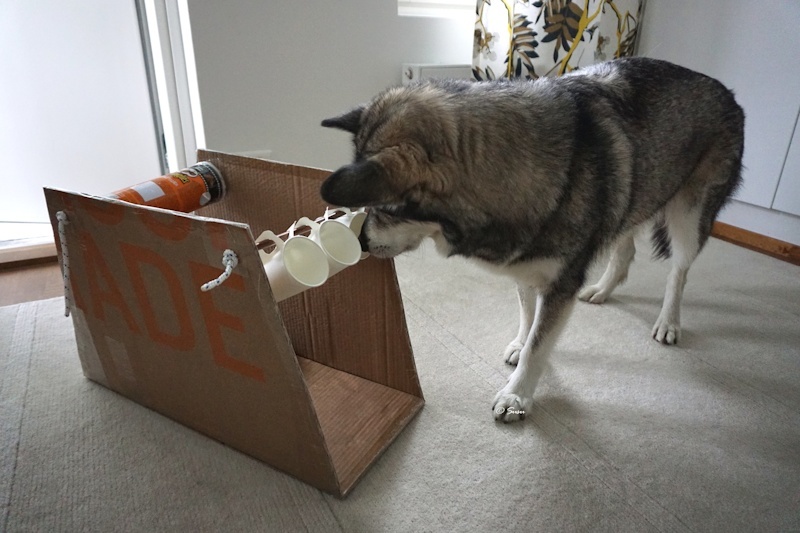 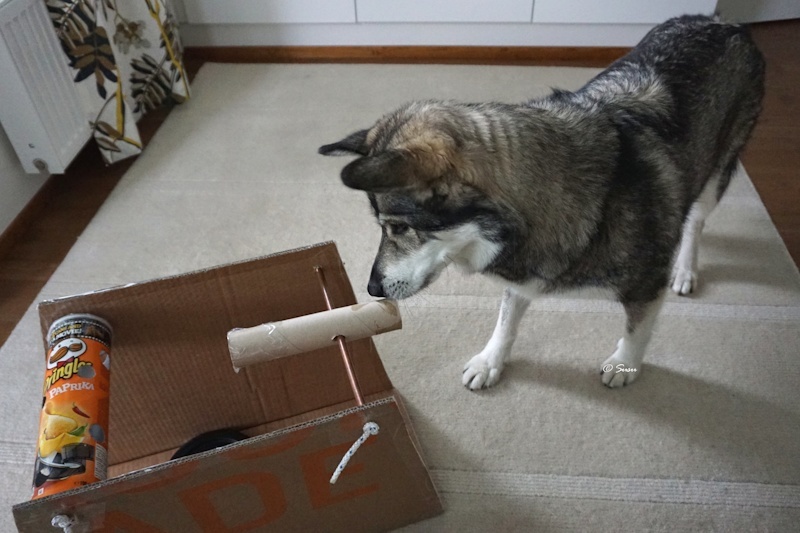 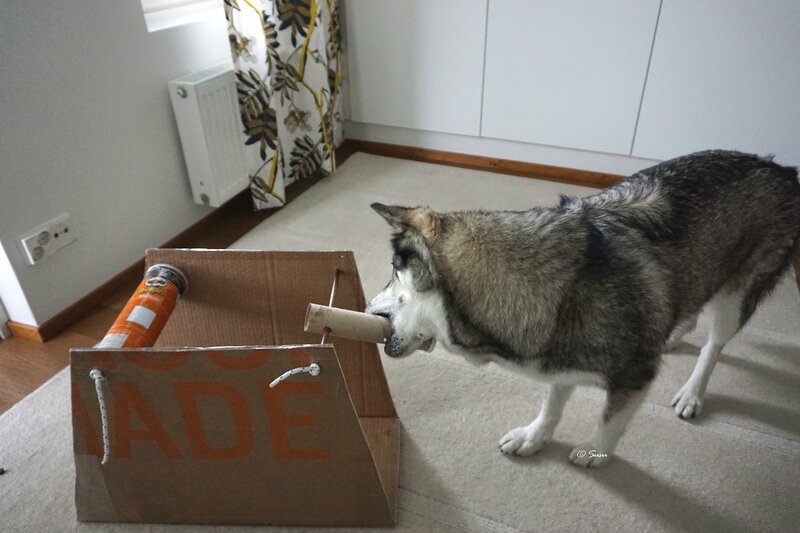 Then I pushed the pipe through the roll and tied it to the holder and added some kibble. 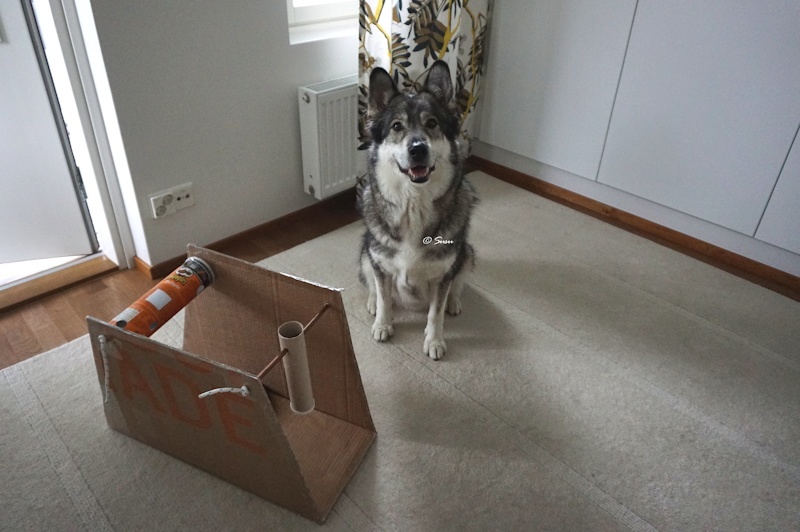 In this game I also punctured two holes to the roll but this time I placed the holes closer to the other end. 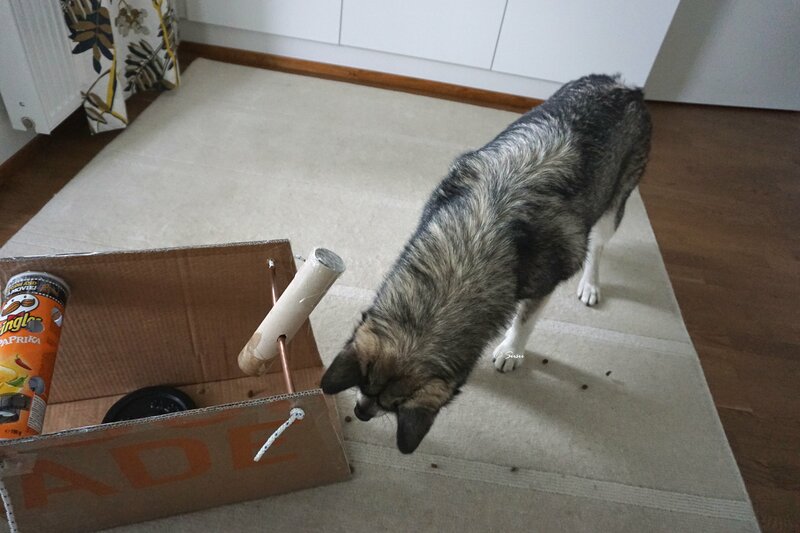 This time I used a plastic cap to close the roll at one end but I soon realised the taped version was better - the cap fell off shortly.